As the weather improves this spring, it is time to consider changing or improving the exterior paint color for your rental property so here is a quick guide in this week’s maintenance checkup from Keepe. Choosing exterior paint colors can be tricky, especially for a multifamily property where you have to keep in mind the variety of styles your tenants favor. Tenants will be pleased with the upgrade and that boost in morale will often result in happier tenants. In general you should stick to timeless finishes and neutral paint colors when choosing the exterior paint color for your rental property. In general you should stick to timeless finishes, in other words neutral paint colors. To appeal to the masses, stick to colors such as beige, grey, cream and tan. Also, make sure your exterior paint varies from the inside of your building. Pay attention to how the colors in your building influence the mood of your space to ensure you are providing a welcoming presence. Warmer tones tend to offer people a feeling of security and warmth whereas cooler tones offer calming and inspiring response to people. To aid wear and tear: Painting your property should be a part of your regular maintenance. Owners should expect to upgrade their exteriors every few years to protect the health of your exterior building and maintain a fresh feel for you and your tenants. 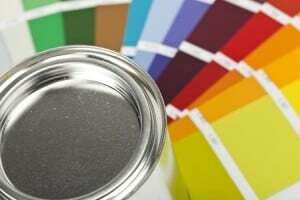 A little paint can go a long way in your investment property. Re-paint your property every 5-7 years to please your tenants and maintain optimal property maintenance. Competitive edge: If your rental property is facing significant competition, a fresh paint job can boost the aesthetic and feel of your property and attract new tenants and keep your investment thriving. Modern accent color to special features of your building such as windows or entry ways can add a special touch to your property. A power wash: Review the state of your current exterior paint job. Are there any scuffs or dirt marks building up on the walls? Sometimes a simple power wash can take care of the buildup and leave your exterior refreshed and looking like new. If it’s been less than five years since your last exterior paint job, try this alternative before committing to a new coat of paint. A partial paint job: If your current paint job is in shape or you don’t want to invest in upgrading your entire exterior at one time, try a partial paint job. Paint the high traffic areas such as the main office, walkway areas, and other spaces outdoors between buildings where tenants reside. You can also stick to freshening up your property by adding a contrasting color to the trims of your building. Remember, new paint doesn’t have to be an all or nothing project. Take these tips into consideration to help you make the decision on whether or not a paint job is right for you and your property. Regardless of your reasoning, remember that upgrading the exterior paint job of your residential property can benefit both potential and current tenants. Ensure your property stays up to date by regularly scheduling property maintenance practices into your routine.